The HTC One is one of the hottest phones on the market right now, and AT&T has teamed up with TechnoBuffalo to give a lucky winner the chance to own it! The fine folks over at AT&T want to help us out in making sure everyone knows just how awesome the HTC One is, and to do so, they have teamed up with us to give away a 32GB model to a lucky winner! As our HTC One review can attest, we love this phone, and we couldn't be more excited to team up with AT&T for this giveaway. This giveaway is open to anyone in the world! So long as you have an address we can mail a package to, you're good to go! To enter, all you need to do is leave one (1) comment per day on this post through 11:59 PM PST on Monday, May 13, 2013 saying what you like about the HTC One. More than one comment per day will result in disqualification. The comment can be about anything. We do ask, however, that you login with either Facebook or Twitter so we have a way of communicating with you should you win. If you can't wait to find out if you've won, you can always head to your nearest AT&T store where you can currently trade in a working phone for a $100 credit towards an HTC One or other devices. You can find more details on the offer at AT&T's site or visit your closest company store. 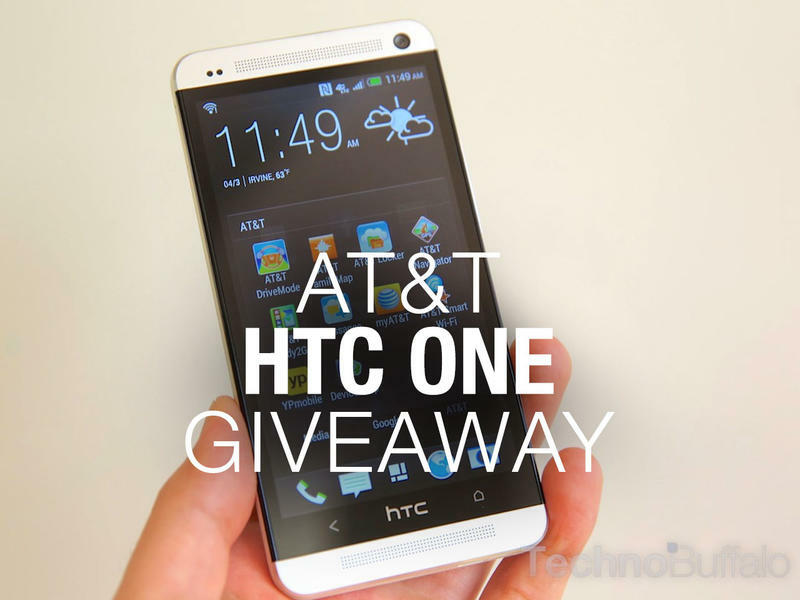 Please note that while this giveaway is open to anyone in the world, the HTC One is locked to AT&T. If you live outside of the United States you will need to unlock the phone for it work in your area. Contest runs through 11:59 PM PST on Monday, May 13, 2013. Remember, the contest closes at 11:59 PM PST on Monday, May 13, 2013. If you don't win, don't fret! We will have many more giveaways coming your way and you can check the TechnoBuffalo Giveaways page to see what the next prize will be. Thank you again to the folks at AT&T for supplying us with this prize.